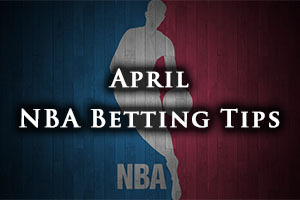 It is the final day of the NBA regular season and there are still playoff places to tie up. This means that you have a chance to grab some excitement and there will be plenty of bets on offer. There were three games in the NBA on Tuesday night, and the Celtics continued their great run of form by defeating the Raptors by a score of 95-93. The Suns lost at home to the Clippers, falling 101-112 in Phoenix and the Pacers grabbed a massive win for their playoff hopes by defeating the Wizards by a score of 99-95. Miami are out of the playoff run and it was the Pacers who brought these dreams to an end. The Heat have been the Eastern Conference representative in the last four NBA Finals but that was a very different time with a very different playing personnel. This will be the first time that the Heat are absent from the playoffs since 2008 and this was confirmed with the Pacers 99-95 win over Washington on Tuesday night. Given that it was the Heat who have knocked the Pacers out of the last three playoffs, there is a cruel twist to the fact that it was them who did the damage this time around, but it is something that will have pleased the Pacers fans. Miami conclude their season at Philadelphia, and they may be looking at the merits of a win or loss. If Miami loses, they will finish with the 10th poorest record in the league. If Miami are 10th pick or better in the draft, they get to keep their selection but if they fall to 11th pick or worse, the selection goes to Philadelphia. This may lead to some tactical thinking from Miami going into this game and of course, Philadelphia! It’s been a tough campaign for the Heat, the loss of LeBron was always going to make it difficult but injuries to key players haven’t helped and they’ll be looking to recharge over the summer and go once again. The Heat have a 36-45 record for the season and this includes a 16-24 record on the road, while in their last 10 games, they have won 3 and lost 7. The 76ers have an 18-63 record this season, which includes a 12-28 record at home. They have a terrible record in their last 10 games, standing at a 1-9 record. For average points scored, the Heat leads 94.6 to 91.9 and for average points against, the Heat leads 97.2 to 100.9. Taking the Heat to win this one, even with a modest positive handicap, is likely to be a smart idea. Bet Now! Both of these teams have their seeds sewn up in the Easter Conference playoffs so it is not as though either team has much to play for. However, the Bucks have an opportunity to clinch a winning season, the first time in five years if they achieve it, and the Celtics are on an impressive run of form at the moment and they may not be so keen to let that slip away before the playoffs begin. The Bucks are secure in sixth place, and they will face the Bulls or the Raptors, with the Milwaukee team booking their playoff spot on Sunday by defeating Brooklyn by a score of 96-73. That was a third win in a row for the Bucks but the Celtics are looking for a sixth win in a row and a seventh road win in a row. The Celtics will face the Cavaliers in the opening round of the playoffs. The Celtics are 39-42 which includes an 18-22 record on the road. They hold an 8-2 record in their last outings. The Bucks are currently 41-40, and they hold a 22-17 record at home. Their 10 most recent games have presented a 6-4 record. The Celtics lead the average points scored by 101.3 to 97.8 and for average points against, the Bucks lead 97.3. This is a close game to call, but taking the Celtics with a low negative handicap should be of value and interest. Bet Now! The Nets have stumbled out of the playoff places with two bad defeats and it seems as though they are now looking for next season, even if there is still an outside chance of them clinching a playoff spot. They need to defeat the Magic first of all, and then hope they receive a favour from the Grizzlies, who are coming up against Indiana. This will be the first time since the Nets moved to Brooklyn that they will have posted a losing record at home. The Magic looked to have improved this season but they are still a side that lacks consistency. For all that most experts believe that the Magic have greatly improved this campaign, they only have two more wins than they had achieved last season. There is optimism that players Aaron Gordon and Elfird Payton, who were 2014 Draft picks, will be big players next season for the magic. Orlando holds a 25-56 record this season, and this includes a 12-28 record on the road. Their last 10 games contains a 3-7 record. The Nets are 38-41 for the season and they are 15-23 at home. The Nets have a 6-4 record in their last 10 games. The Nets lead on average points scored, 98.0 to 95.8 and for average points against, the Nets just lead 101.1. to 101.4. The Nets know that they need to win this game, and you should take them to do so, even with a modest positive handicap. Bet Now!